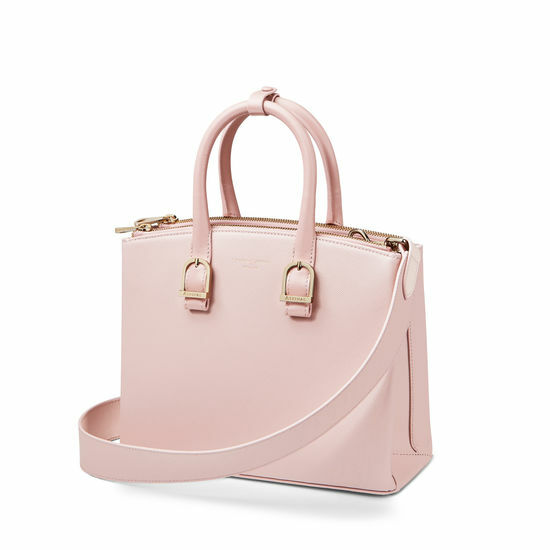 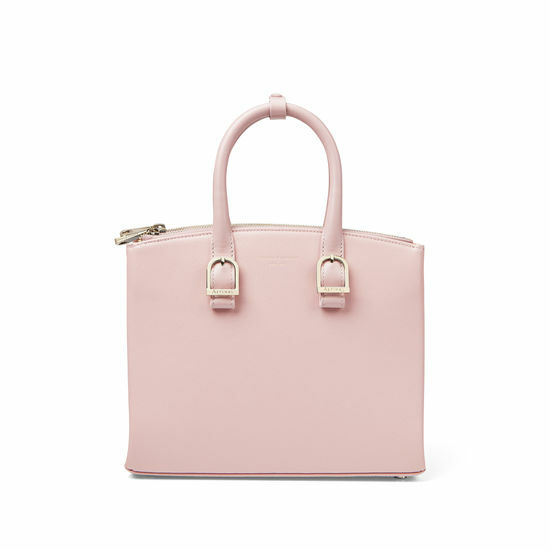 Our Midi Madison Tote in peony saffiano offers a structured and stylish silhouette. 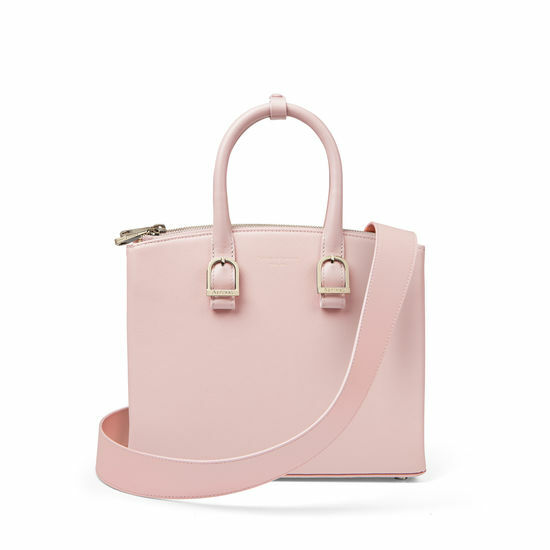 Hand-crafted from the finest Italian calf leather, it is lined in suede and features gusseted side panels and signature Aspinal stirrup buckles. 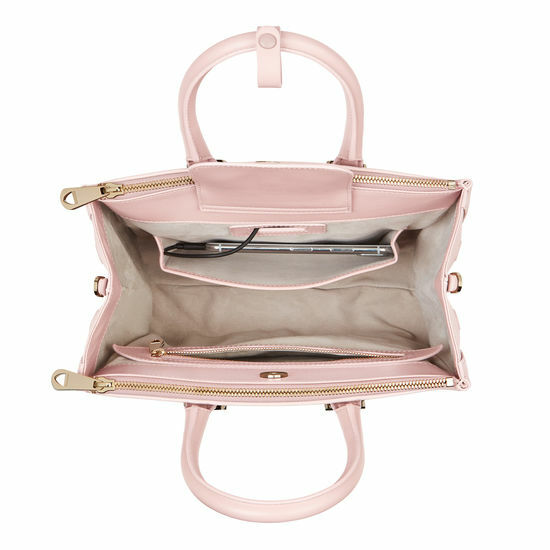 The spacious main interior is secured by a leather flap-over with magnetic snap closure and has one zipped internal pocket and one large horizontal mobile pocket with a cable path. 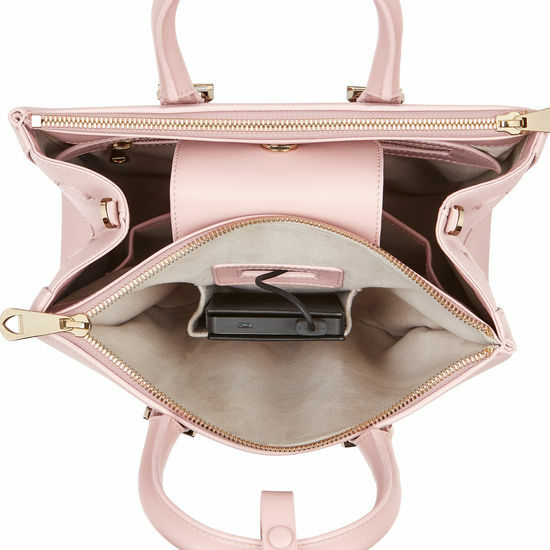 Two zipped outer compartments with one to the reverse of the bag feature a slip pocket ideally suited to a tech charger. 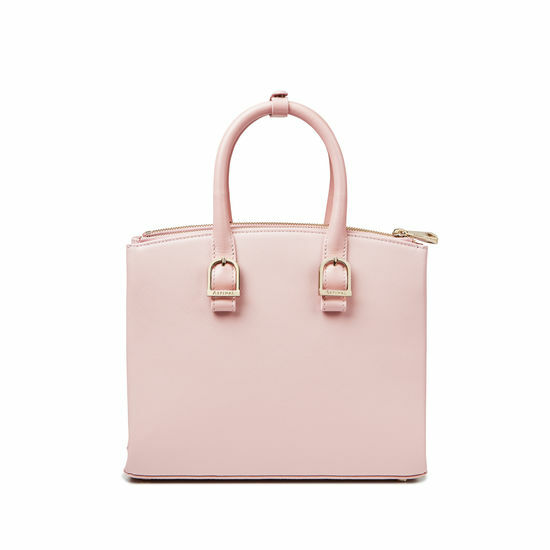 It also has dual handles with a handle keeper and a detachable shoulder strap for truly versatile wear.